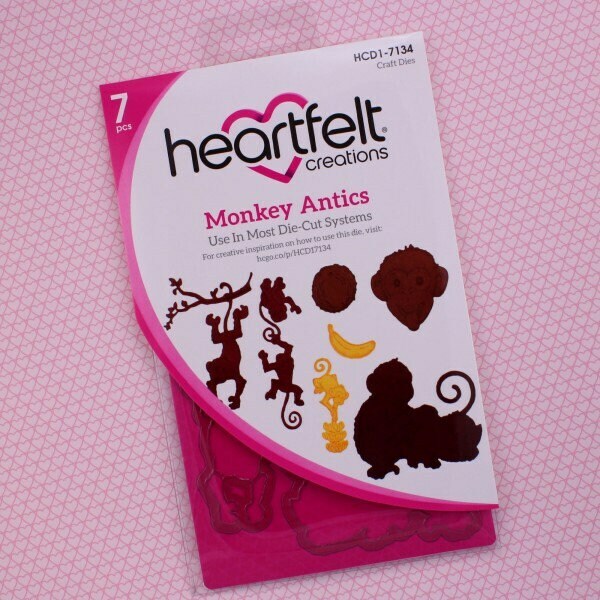 Ever fun and entertaining, monkey antics amuse people of all ages…and the playful monkey die cuts found in the Monkey Antics Die are no exception! Fill your tropical themed cards, layouts or mixed media projects with banana thieving high jinx, coconut and banana accents and cheesy chimp grins! Shape to create dimensional embellishments or choose to stamp with coordinating cling stamps, color and die cut for amusing accents on all of your paper creations! 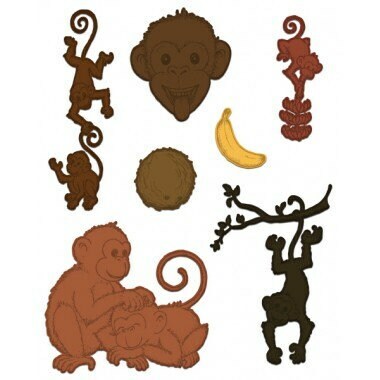 These dies are part of the Monkeying Around Collection and pair with the Monkey Antics Cling Stamp Set.